THE region’s swimmers made a splash on the opening day of the National Winter Championships in Sheffield on Friday. Plymouth Leander’s Laura Stephens and Dartmoor Darts’ Cameron Williams particularly caught the eye at the short course event at Ponds Forge. Stephens (pictured top) produced a world class swim to win the women’s 200m butterfly title in a personal best time of 2:04.94. That was nearly two-and-a-seconds quicker than Commonwealth Games team-mate Emily Large, who took second place in 2:07.38. It was also a time that would have finished fifth at this week’s FINA World Short Course Championships in China. In the same final, fellow Leander swimmer Sophie Freeman, just 14, finished sixth overall and won the national junior title in 2:11.11. Freeman also won a junior bronze in the 100m freestyle event. Meanwhile, 14-year-old Dartmoor Darts’ Williams broke the British junior record in the 50m breaststroke event. The youngster clocked 28.61 seconds in the heats, which not only beat his own 14-year-old record, but also the national junior record that had stood for eight years. He finished second in the B final in 28.62 seconds to win the junior title. Leander’s Roman Scherer won the B final in 28.24. Leander and Mount Kelly both won relay medals on the opening day. Mount Kelly won silver in the women’s 4x50m medley event in 1:52.30. Athena Clayson, Niamh Robinson, Emily Haimes and Mary Lawrence made up their team. Leander were third in the same final with Tegan Drew, Lucia Grant, Stephens and Honey Osrin. Osrin enjoyed a good opening night as she also won junior silver in the 200m IM. She won the B final in 2:12.83, with Mount Kelly’s Robinson third in 2:14.13. Robinson was also third in the women’s 100m breaststroke B final, with Leander’s Lana Broekhaven seventh in the same race on her way to silver in the junior section. Leander’s men’s medley relay team of Tom Beeley, Adam Chillingworth, Edoardo Vassechhi and Freddy Clampett won bronze behind Loughborough and Bangor. Mount Kelly came sixth in the same final, with Devonport Royal ninth. The winning Loughborough team included former Leander star Tom Fannon, who won the national 50m freestyle title in 21.84, finishing just behind Canadian guest Yuri Kisil. Mount Kelly’s Harry Noble and Alessandro Burdisso both reach A finals. Noble swam 1:59.18 in the heats to reach the 200m men’s backstroke final, where he clocked 2:01.68 to finish 10th. Burdissco, whose younger brother Federico is in China competing at the FINA World Short Course Championships, finished 10th in the men’s 100m IM final with 57.14 seconds. Burdissco also finished fourth in the men’s B 100m butterfly final with 54.35 seconds. Leander’s Freddy Clampett took third in 53.32. Leander’s Valsecchi and Beeley both reached the men’s 100 butterfly A final, where Valsecchi took seventh place (52.95) and Beeley eighth (53.19). Mount Kelly’s Athena Clayson as well as winning a relay medal also reached two individual B finals. 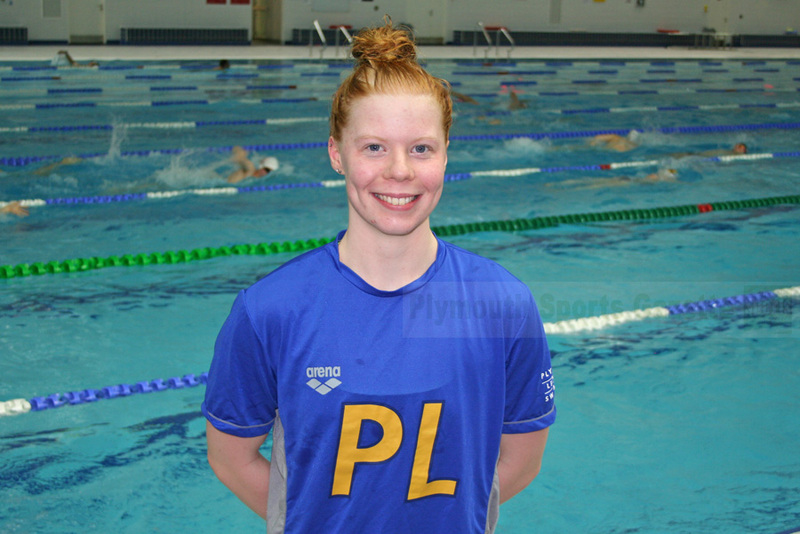 She came fourth in the women’s 100m freestyle B final and also fifth in the 50m backstroke B final, where club colleague Katelyn Bergin was second. Mount Kelly had three swimmers reach the men’s 100m IM B final. Ben Harrison took fourth in 56.84 seconds, Sam Dailley finished sixth (57.03) and Robbie Jones seventh (57.03). Devonport Royal’s 14-year-old Aiden Symons-Brown reached the men’s 50m B freestyle final, where he finished seventh in 24.28 seconds.